Drug addiction continues to plague tens of millions of Americans each year, and while no single treatment option works for everyone, a new study found that exercising regularly could be beneficial. 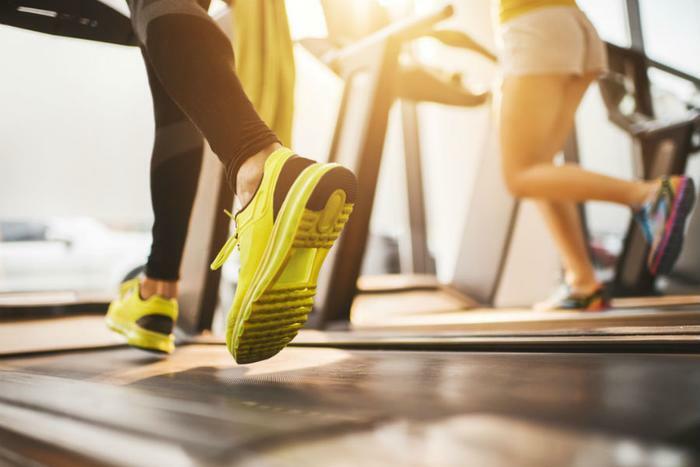 Researchers from the University of Illinois at Urbana-Champaign took on the project to explore the ways exercise affects addicts’ responses to environmental cues, and ultimately their decision to relapse or stay clean. Jonathan Sweedler and Justin Rhodes based the study off of past research that has shown how many addicts often relapse after being in the same place where they once did drugs or are around the same people they used to do drugs with. Though past studies have investigated the link between exercise and the ability to retrain the brain to avoid drugs, Sweedler and Rhodes wanted to know why it exists. They discovered that exercise works to alter the levels of peptide in the brain, which can change the positive, rewarding feeling that many addicts feel after taking a drug. The researchers conducted the experiment on mice, administering cocaine injections over the course of four days. The mice were also put in special cages so they were able to associate the specific place with the drug. After the injections, the mice were moved to different cages for 30 days, where some of them were given running wheels. At the end of the 30 days, the mice were reevaluated. Upon being reintroduced to the site of the cocaine injections, the mice that had been exercising were not only unhappy with the old environment but also showed differences in their brain chemistry. The groups of mice had different levels of peptide in the brain at the end of the 30 days. For the non-exercising mice, the researchers noticed a decrease in the levels of peptide derived from actin -- a protein that is often associated with drug-seeking, as it affects both learning and memory. These results were positive for the researchers, as exercise was found to be a key in addicts avoiding relapse. Though many consumers may think exercising is nothing more than the key to losing or maintaining a healthy weight, much research has been done to show the countless benefits associated with exercise that go beyond just physical fitness. However, many adults and children across the country aren’t reaching the recommended daily amount of physical activity. Studies have found just 23 percent of adults and one in three children are hitting daily goals. Keeping children active is particularly important, as researchers have found that many habits that start in childhood will last through adulthood. Additionally, children who are physically active were found to be at a lower risk of developing depression. Exercising -- even just engaging in light activity -- has been found to help those battling cancer, make us feel biologically younger, and can even reduce the risk of fall-related injuries for Alzheimer’s sufferers. For those with busy schedules, you can still reap the rewards by exercising only on the weekends. The rewards will be greater than just a trimmer physique.